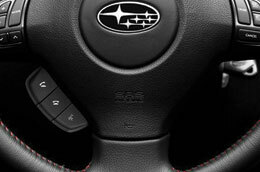 Go ahead and scroll down below the video to begin learning more about the latest version of the Subaru WRX. How did Van Subaru manage to gather this information? By speaking to the most striking automotive writers in the field. Once you begin to read, you'll find that this article is stuffed with worthwhile features and information. Read on to see if the WRX is right for your garage. Comparing the 2013 Subaru WRX against against vehicles like the 2013 Volkswagen GTI, Mitsubishi Lancer Evolution, Honda Civic Si and the Mazda Speed3, and you will notice that the 2013 WRX outshines the competition in gobs areas. Take a look at our bullets to see why! Subaru drivers don't have to look far to find exceptional auto repair technicians and trustworthy OEM made parts. Our Kansas City area Subaru repair facility is conveniently located by many well-known cities and we protect our patrons with a year warranty on each service. 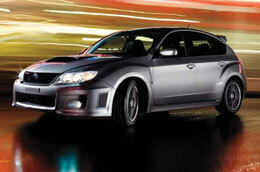 Turn to the auto repair specialists in Kansas City, Van Subaru, when your Subarus takes a beating. We can call the shots on a situation as straightforward as an oil change, or handle challenging car service and repairs like Subaru timing belt replacements, transmission rebuilds, and strut and shock repairs. Plus you can always count on receiving fair prices on all jobs, as well as one-on-one service every time you stop by Van Subaru. Take a look at our current service specials by clicking the link below.